Ferrari is working secretly at new models and on the list is the manufacturer of Maranello 599 GTB Fiorano supercar successor. Known as code F152, the future pattern was surprised for a test and we can see that the body is from 599 GTO and California Roadster headlights. 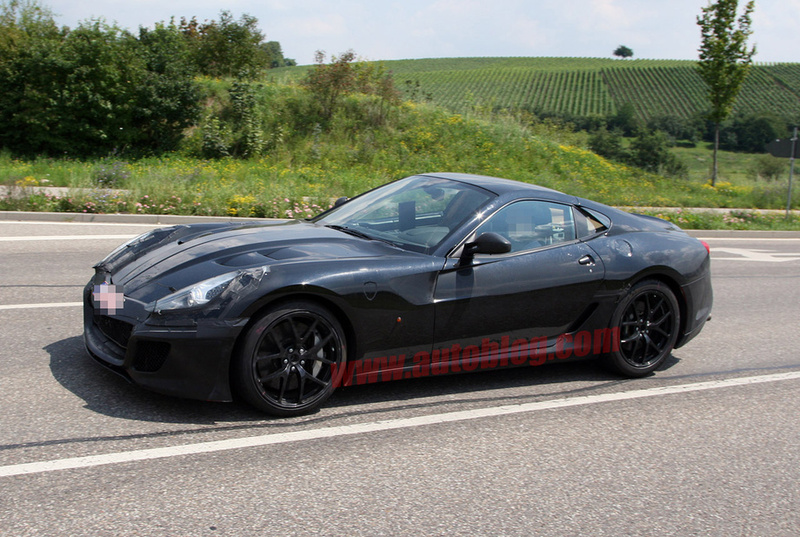 I want to mention that the 599 GTB Fiorano supercar successors will not show in any case like these spy photos. Although official information at this point are lacking, it seems that the next F152 will be lighter, stronger and faster compared to the model it replaces. Specifically, recent rumors indicate that arrived just in Maranello 599 GTB Fiorano’s successor will be powered by the same 6.3-liter V12 as the recently released FF, noting that its engine will be modified to deliver somewhere around no less than 700hp. Moreover, the future of Ferrari F152 will enjoy the many components made of aluminum or carbon fiber components that will result in maintaining a low weight – at least compared to the current 599 GTB. Also, the list of goodies will not miss new transmission system or rear-wheel drive seven-speed dual-clutch manufacturer’s new supercar from Maranello is announcing such a nightmare for the recently released LP700-4 Lamborghini Aventador.